On June 22nd, the Austin Business Journal revealed the rankings of this year’s Best Places to Work finalists. 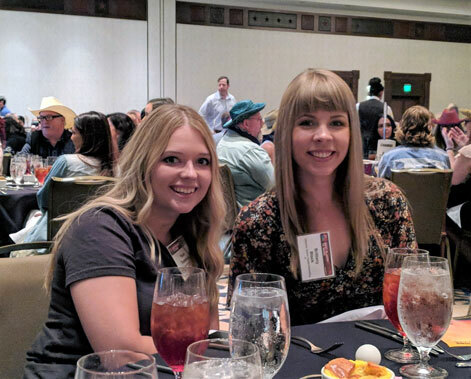 Within the small business category, made up of companies with 10-50 employees, Effective Spend ranked #8 out of 20 finalists, landing the company in the ABJ’s Top 10. The finalists were announced at the ABJ’s annual awards luncheon. 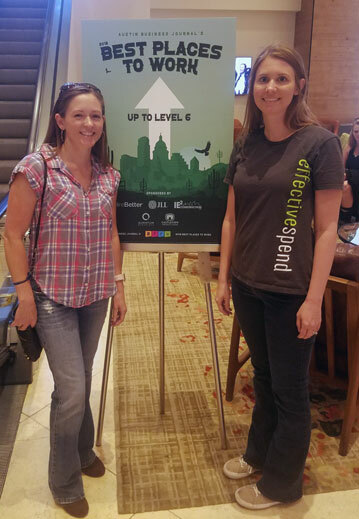 Effective Spend was honored to attend as one of the 75 finalists, among other top Austin companies including RetailMeNot, Aceable, and Spredfast. The finalists ranged from realty companies to software start-ups and were broken up into 4 different categories by company size: Micro, Small, Medium and Large. To help celebrate the win with its staff, Effective Spend held a company-wide vote for employees to select the company’s top three “Culture Champions” to represent the agency and attend the event alongside senior staff. ABJ’s theme for this year’s event was western wear. Always game for a good theme party, our Effective Spend crew dug deep in our closets, dusted off our old cowboy boots and showed off our team spirit. 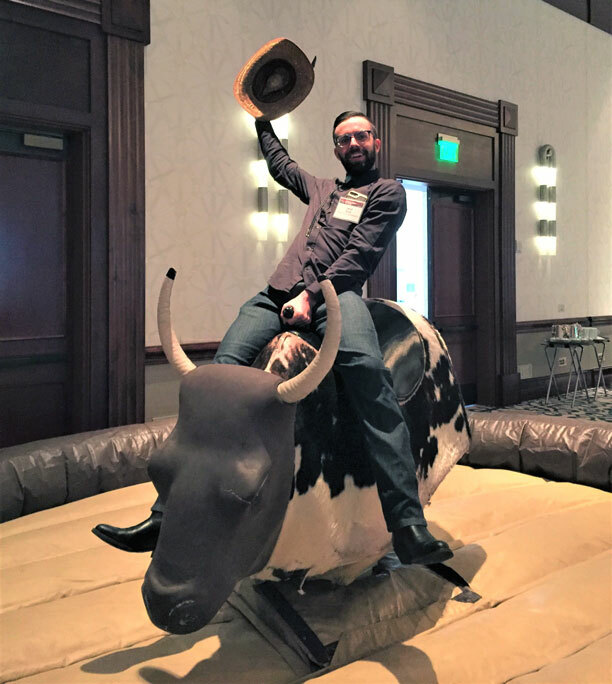 A few brave team members even tried their luck on the mechanical bull! As part of the selection process, ABJ sends an anonymous survey to each employee asking a series of detailed questions about culture, management, and career development opportunities. In the ABJ Best Places to Work survey, employees were also invited to write comments about their experience working for Effective Spend. 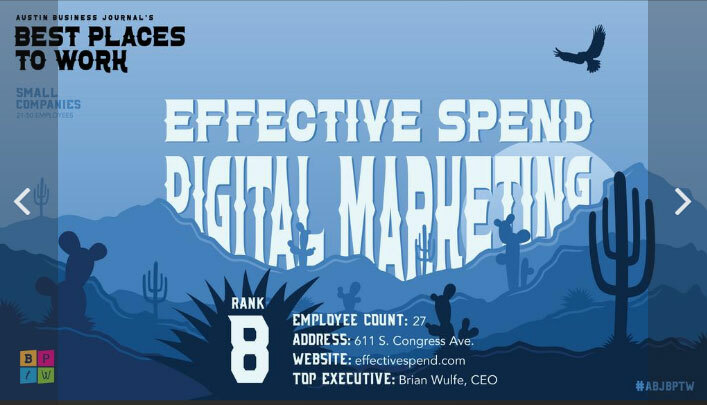 To learn more about what it’s like working at Effective Spend, visit our Careers & Culture page.